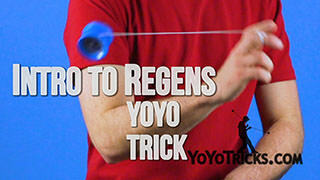 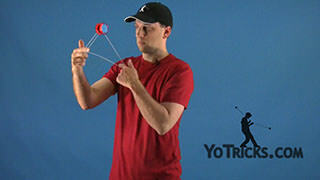 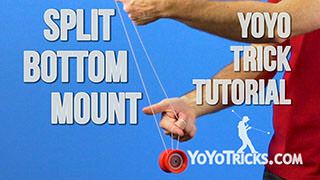 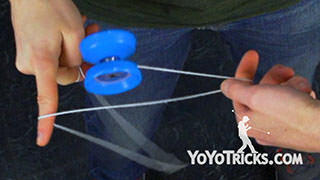 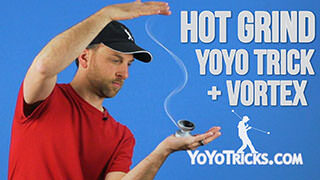 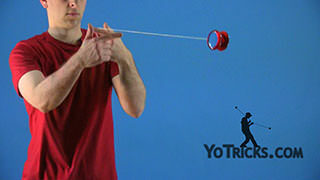 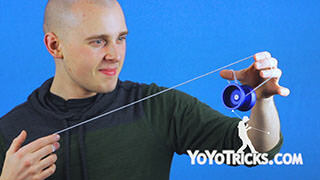 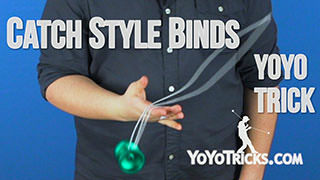 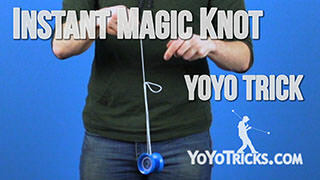 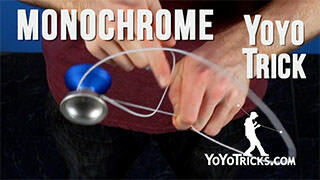 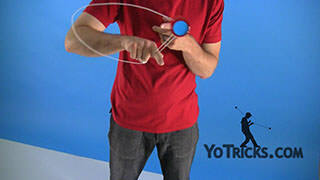 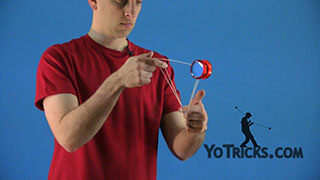 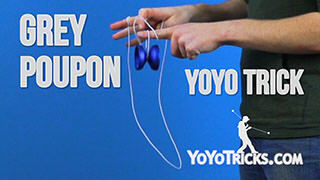 Split the Atom yoyo how to video. 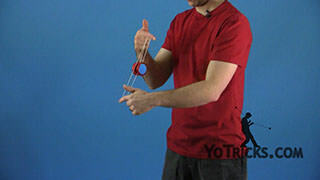 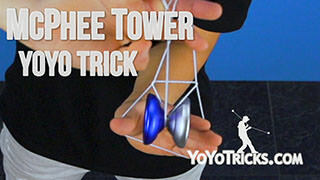 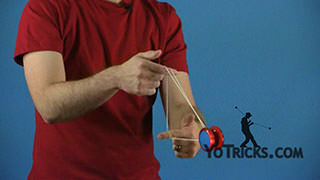 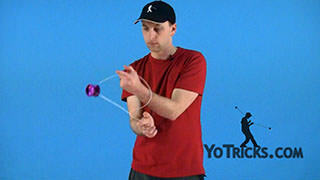 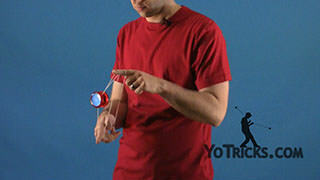 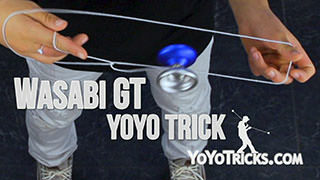 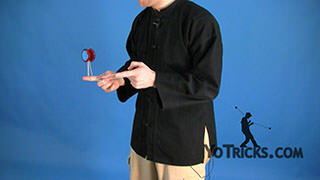 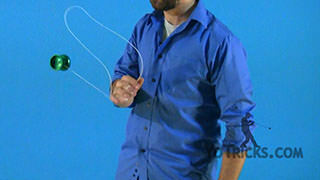 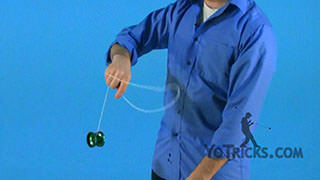 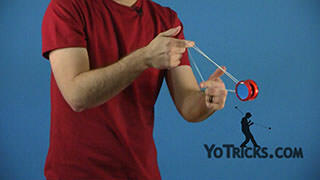 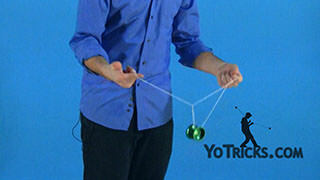 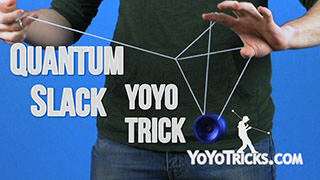 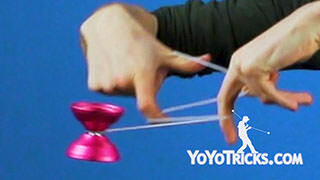 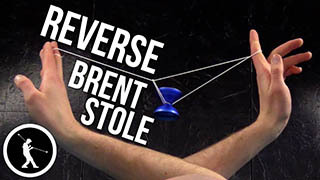 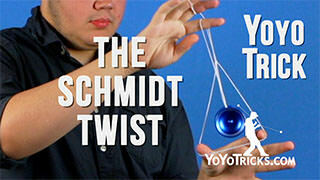 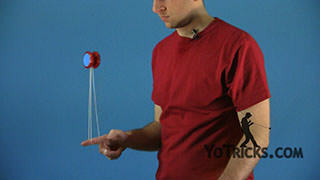 Split the Atom Yoyo TrickThis trick I’m going to show you is called Split the Atom, and it looks like this. 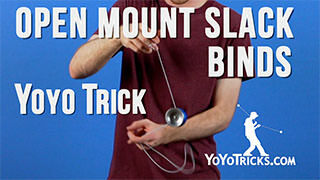 Now, to start this trick you are going to start off with your Split-bottom mount. 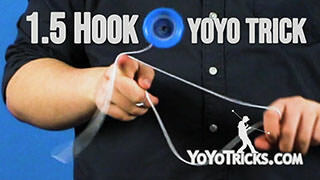 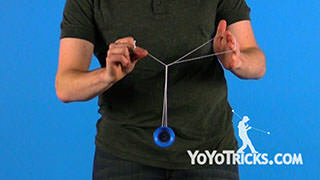 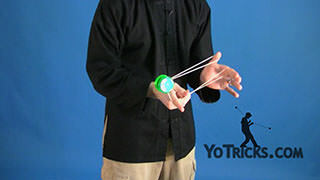 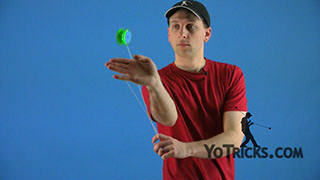 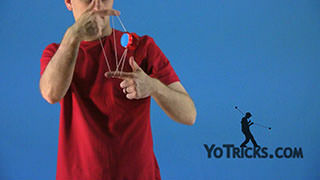 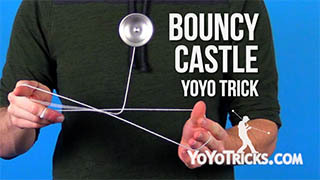 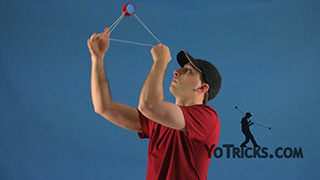 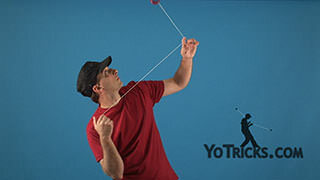 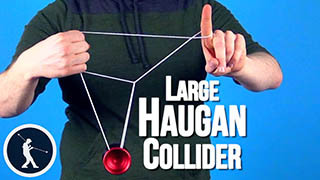 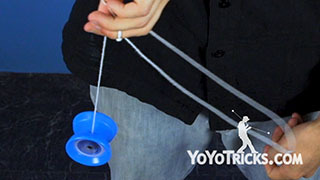 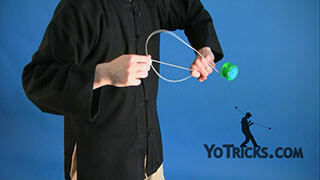 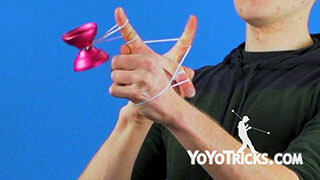 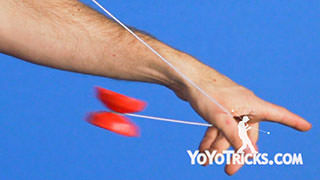 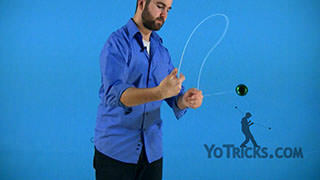 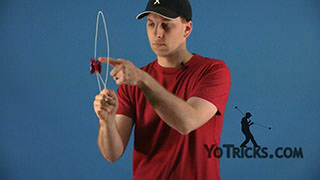 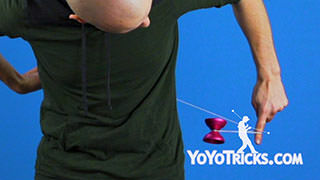 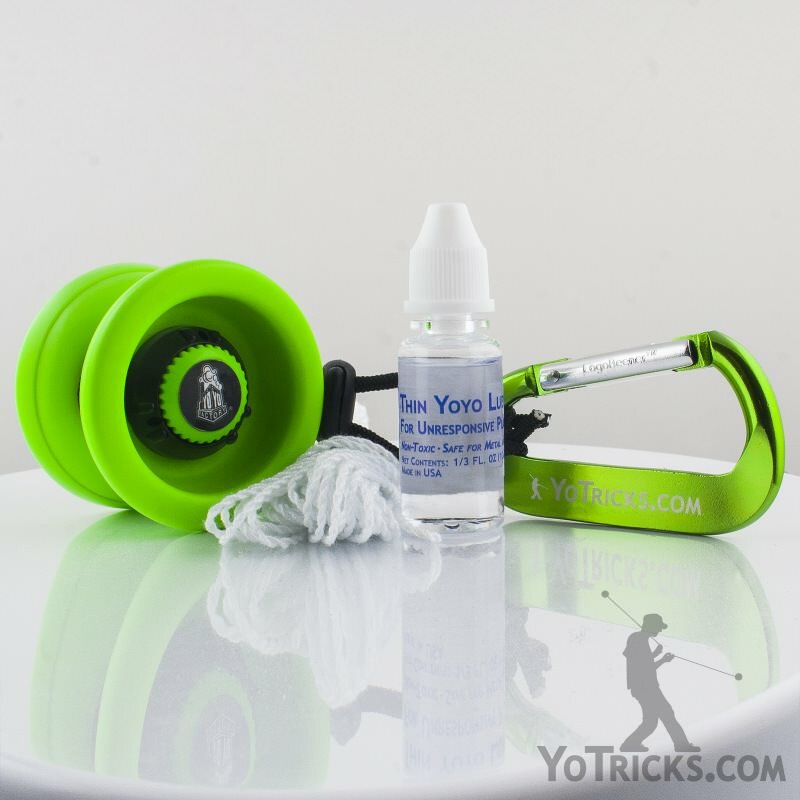 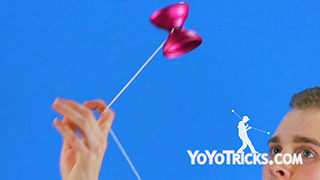 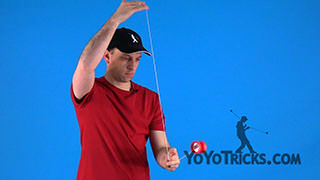 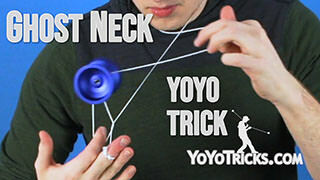 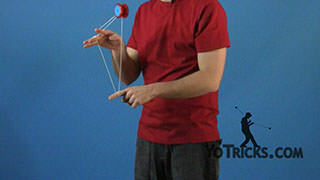 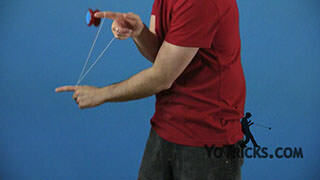 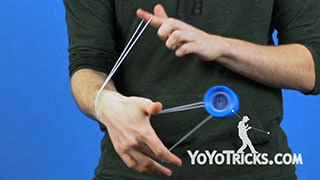 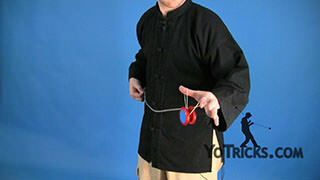 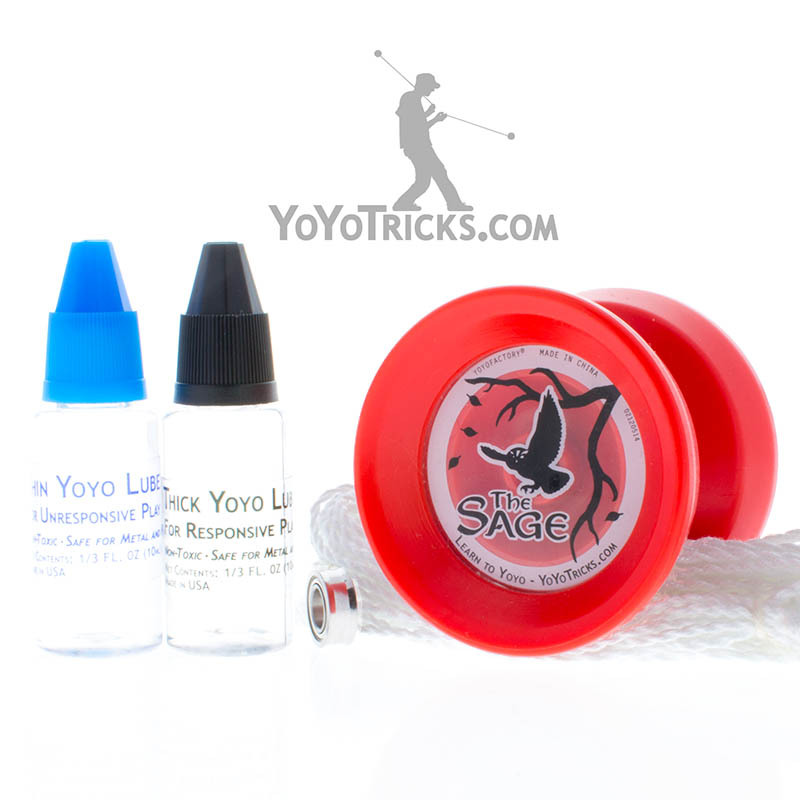 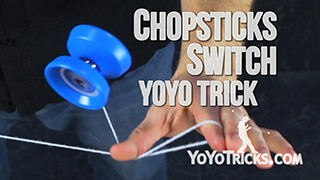 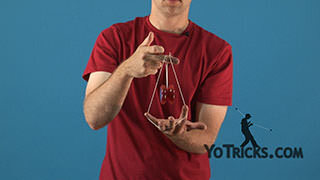 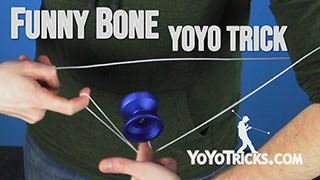 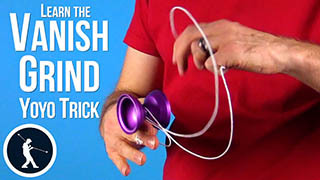 Then you are going to take your opposite hand and you are going to pass it right underneath the yoyo and you’re going to catch the yoyo on that string. 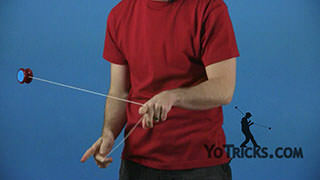 And then, you are going to take your opposite hand, your first finger, and push it forward into those two strings that you see. 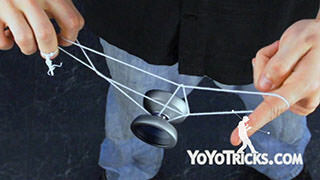 Then you are going to take your yoyo hand and you are going to pass it underneath the yoyo just like that and catch it on that same string. 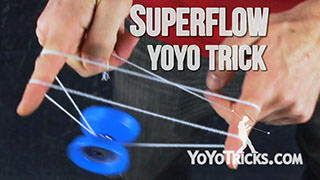 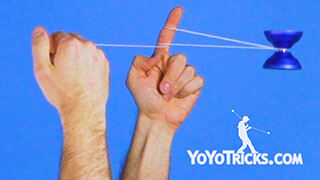 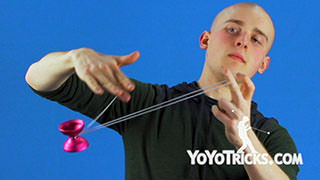 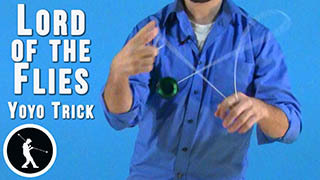 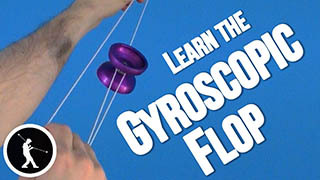 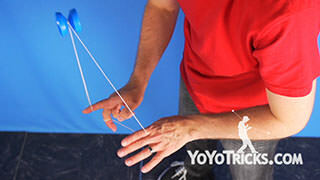 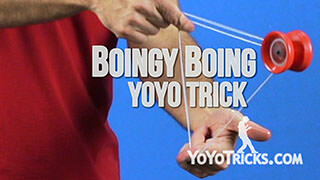 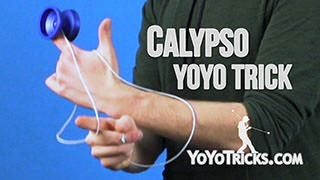 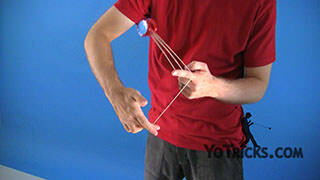 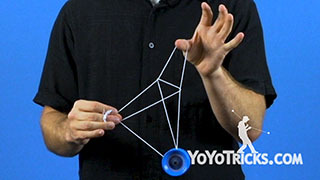 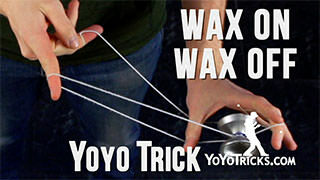 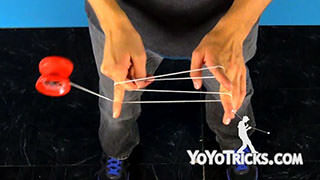 Now, once you get it here you are going to take your yoyo hand, your first finger, and push it into these strings and you want to do three flips, just like that. 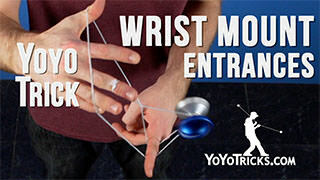 To complete the trick all you are going to do is pull your finger out and do your dismount and that’s the whole trick. 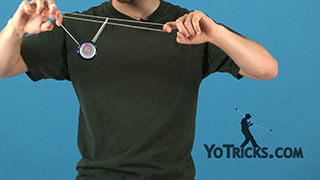 So let me show it to you again.